Back in the wild and house-saturated days known as the late Nineties (and into the Noughties where trance reigned), Darude was, and remains, no doubt wrapped in nostalgia like some sort of memory-protective bubble wrap, the king of DJs. Songs like “Sandstorm”, “Music” and “Feel the Beat” fuelled many a heady dance party, and now the Finnish DJ and record producer, known more accurately to his country’s tax authorities as Ville Virtanen is back (to be fair, he never really went away) with a fresh new entry for Eurovision, alongside countryman, Sebastian Rejman, a singer, TV host and actor. “Look Away” is the latest addition to the musical canon of a man whose single “Sandstorm” generated in excess of 10 million in global sales, not to mention the hundreds of millions of streams worldwide on platforms like Spotify, and who has appeared at festival around the world, including most poignantly for him, New Year’s Eve 2019 when he appeared before 100,000 people to mark 100 years of Finnish independence. 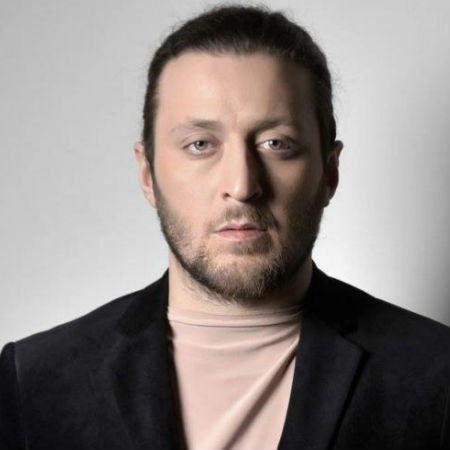 So, he has the numbers on his side, fervent ongoing support of his homeland to his credit, and a popular new collaborator in Rejman but is that going to be enough in the contemporary cut-and-thrust of modern Eurovision music? 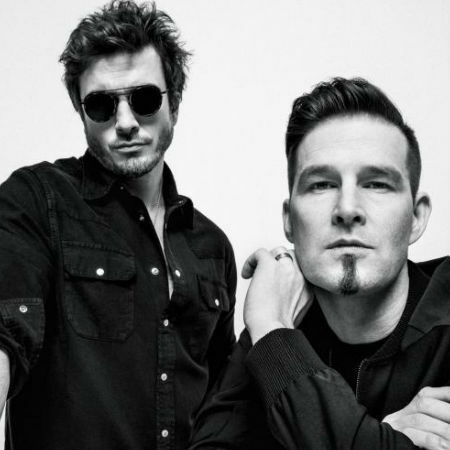 Ostensibly there is nothing wrong with “Look Away” which sounds like classic Darude – despite the fact that the song was written by Rejman (a partnership which has also produced the songs “Release Me” and “Superman”) – although it’s that fact though that could well be its undoing. Sporting vintage concerned global citizen Eurovision lyrics, where our willingness to ignore the ills affecting the world are laid out in musically-despairing detail, the song sounds far too much like old trends and that which has well and truly gone before. That may not necessarily be a liability for Eurovision, which has always stood a little awkwardly between cutting edge and top 40 relics, but while it might make for a fun, heady three-minutes in a faux nightclub, in which Darude is stuck inside a cube that hides him half the time, it’s not really winning material. 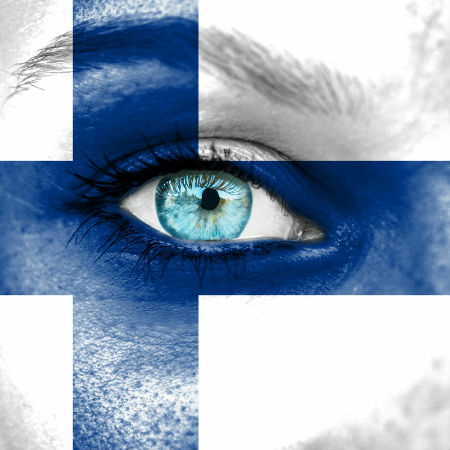 It will likely get Finland into the grand final, especially given some of the insipid songs against which it’s competing but winning is like out of the question, a painful admission for a fan like myself. While most three-year-olds are content to romp through sandpits, or play firemen or Barbie dolls (no gender stereotyping here thank you), Oto Nemsadze’s mother was determined to teach her son to sing. And so she did, a fateful decision which led to her darling son (there’s a presumption of close mother-son bonding which works for this potted bio’s narrative) winning the fifth season of music reality TV show Geostar in 2010, a triumph followed by competition in international music contest 10+10, and in The Voice of Ukraine in 2014 and 2016, where he came second both times. 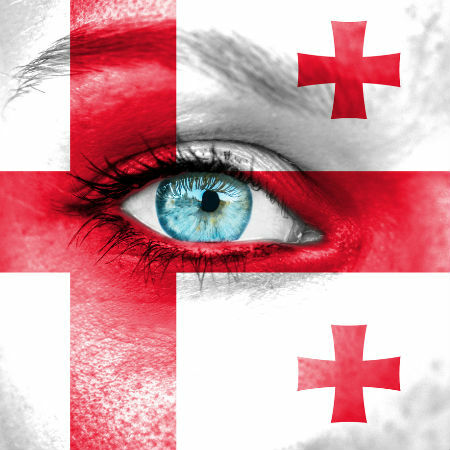 But Oto, fuelled by those head days of toddler singing lessons, wasn’t done yet with all that competing, winning the Bravo Music Contest in 2013 a year after the release of his debut album Fiqrebis Zgva, and six years before – you guessed it – winning Georgian Idol, which catapulted him into the representative boxseat for Eurovision. All that victory’s got to mean something right? Surely this is a man destined for greatness at Europe’s greatest music contest? Vocally and performance-wise Oto has it in the bag. Possessed of an intense stage persona and a voice that growls and strides across his entry song “Keep on Going”, sung in his native Georgian which is a refreshing change from wall-to-wall English and harkens backs to Euorvision entries of old, Oto is a man clearly born to entertain (kudos to you Mrs Nemsadze for your prescient vocal training of your very young son). Alas, it’s the song that lets him down. It has presence no doubt and some brilliantly-evocative background vocals which suggest monks tuning up at morning prayers, but ultimately it never really strikes out and makes its full potential felt, idling in beefy ballad mode and nothing more. The only thing likely to propel the song, and thus Oto and Georgia, into the grand final, is a dazzling stage performance, something of which Oto appears more than capable. A Greek-Canadian singer who was born in Montreal but now lives in Athens, Greece (where, on the law of averages, it has to be warmer), Katerine Duska’s musical proclivities have earned her pretty impressive comparisons to the likes of Lykke Li, Jessie Ware, and vocally, the great Amy Winehouse. That’s some pretty fine company to keep, and you can well understand why she has ended up sharing the stage with artists as diverse as Albin Lee Meldau, Tom Baxter, Petros Klampanis, Yasmine Hamdan, Oddisee, and Kadebostany. With a song “Fire Away”, that was used in national TV ad campaign in Canada in 2018, a much-loved debut album, Embodiment, (2016) to her credit, and countless festival and venue performances under her belt including Sofar Sounds/Amnesty International’s global festival Give a Home, Duska is well-placed to make quite the splash at Eurovision as Greece’s official representative. But is all that artistic talent (sadly not coached by Oto Nemsadze’s mother) and all that lauded stage craft enough to get her over the line? Looking gloriously like Glinda the Good Witch from The Wizard of Oz, which is frankly one of the highest accolades I can give anyone, Duska belts out the power ballad “Better Love” with resplendent passion that is likely to make for quite the goosebump-inducing, spine tinglingly-good moment in semi-final 1. This is “Rise Like a Phoenix” material and Duska sends it out of the metaphorical park, taking a fairly cookie-cutter song, though possessed of the kind of grand, soaring melody which sends souls soaring, and imbuing it with presence, emotional resonance, the likes of which can lay waste to the chances of other contestants to stride victoriously forward at Eurovision. 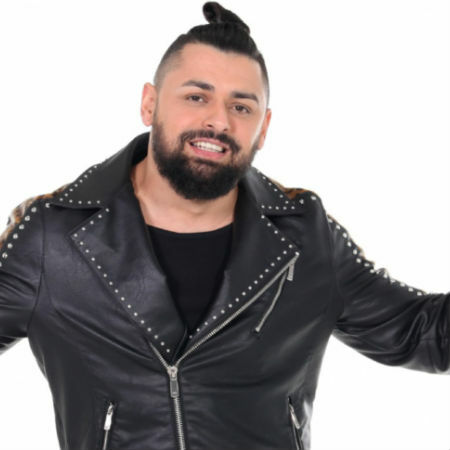 If József “Joci” Pápai looks eerily familiar, like that person you went to high school with 30 years ago and now can’t quite place (sorry but the moisturiser just isn’t working), that’s because this is his second ride on the Eurovision merry-go-round. Many years ago, OK not really but damn if it doesn’t sound dramatic, in 2017 he represented Hungary with “Origo”, earning his home country a perfectly-respectable eighth placing. No doubt thinking “Hell, we can improve on that!”, Hungary has selected him to sing for it in 2019, handing the man who began learning guitar at age 4 (there goes Oto Nemsadze’s mother again it seems) and who is the first gypsy musician incorporating his people’s music into his entry, another chance at pan-European glory. It’s a tribute to the artist’s tenacity, which saw him come close to giving up music altogether after over a decade of struggle and graft, and you can only wish the now highly-successful singer all the very best. Alas, that is pretty much all we can wish him. While “Az én apám” celebrates some pretty heartwarming themes in personal and family relations, the kind which would make Disney and Hallmark sighed with heartfelt pleasure, and does pay homage to Pápai’s beloved father and his roots, it doesn’t really bolt out in any kind of truly memorable fashion. It is a beautiful song, that resonates with authentic love and passion, and the guitar work is exquisitely lovely, infused by the artist’s gorgeously-evocative vocals but as a song that will promote him to the top 5 of Eurovision, it lacks that final killer punch of a moment, that life in tempo, melody or vocal strength that would give it an edge. 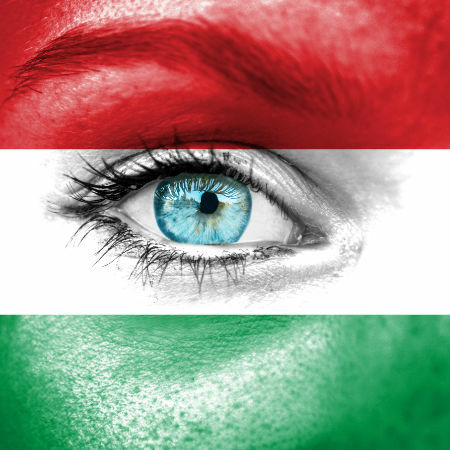 Having said that, it’s a beautiful piece of work and should see Hungary at least move into the grand final. So, not your grandmother’s contest act then? 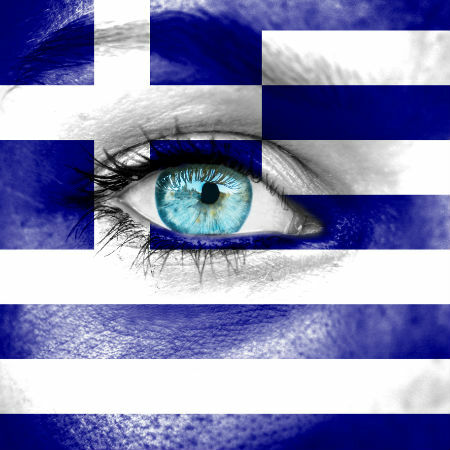 Fun and games and the death of all things it seems, but before this happens, there is the song; there is always the song at Eurovision and surely even anti-capitalist, nihilistic performance artists mustc are about that? Turns out they do – quite a bit, in fact. It won’t be to everyone’s taste, including your grandmother unless she’s an old metal devotee in which case she’ll be just fine, but “Hatrið mun sigra” is actually a pretty cool, melodically intense, balls-to-the-wall song, surging with a powerful electronic beat, snarly, aggro vocals that are suitably shouted (if you’re bringing down capitalis, for god’s sake, sound like it), a divinely-light, bright and breezy chorus that somehow feels it belongs with the growly verses. It may sound like the last song that could do well at Eurovision to which I say – remember Lordi, who won the contest for Finland with “Hard Rock Hallelujah” way back in 2006? 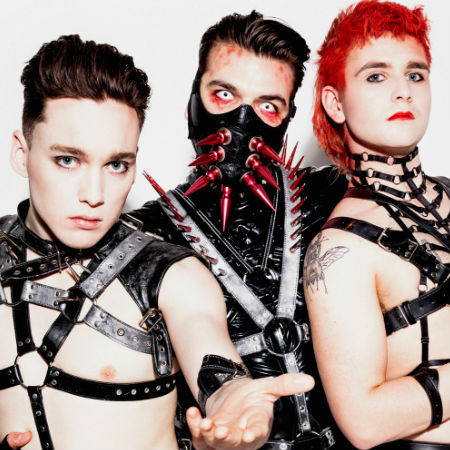 No one would have predicted their triumph but they combined a damn fine song with brilliant staging to winning effect and I have every reason to believe that hatari can do the same, with a song that is after all, some damn good power-mad electronica with a melody as catchy as you could ask for. 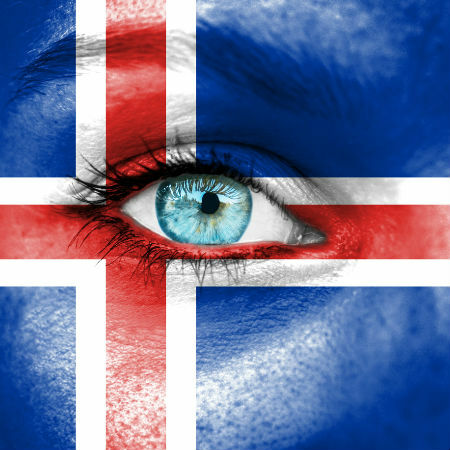 Look for Iceland to make it to the grand final and place very high up on the ladder with music that says something and has a massively-good time saying it (yes, you can dance to the revolution). Having faced the end of the capitalist world with Iceland’s entry, we now turn to a group that quite frankly, feel like the love child, if such pure entities would even permit such a debauched thing to happen of Hallmark, Disney, Care Bears and Peppa Pig on an exceptionally good day. Montenegro’s D Mol are a six-piece group of vocalists (Tamara Vujacic, Mirela Ljumic, Zeljko Vukcevic, Ivana Obradovic, Emel Franca, Rizo Feratovic) who found each other, and laughing, smiling happiness and affirmative poster slogans, at a private music shcool founded by Daniel Alibabic, a one-time member of No Name who presented the small Balkan nation at Eurovision in 2005. 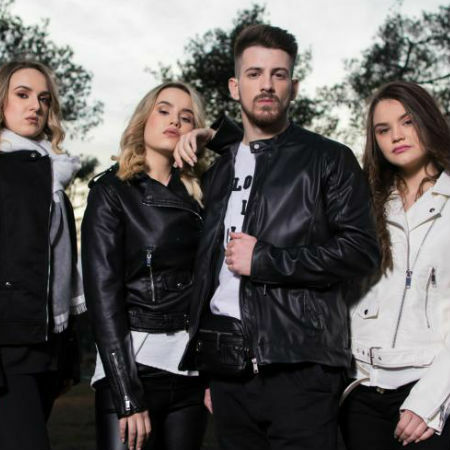 Winners of Montenegro’s national selection contest Montevizija, even their song is pure as the driven snow, carrying the swoon-inducing title of “Heaven”. Seriously, how could you not like a group so squeaky clean they can’t sneak up on anyone? They have cutesy staging, lyrics like gorgonzola and a song that is … well, is it good after all that build up of loveliness? Well, I can confirm it is indeed a song. Earnest cloyingly to the point of inducing instant musical diabetic comas, with lyrics that are as 101 as they get, and a cutesy bright-as-a-button melody that skips along like Goldilocks and Pollyanna heading out to gather flowers for shut-ins at a retirement home, it feels like the kind of song that would win a third grad talent contest. It’s not an offensive song but that I suspect is the main problem – it’s pop so anodyne and merrily banal that the song finishes and you honestly struggle to remember if it happened at all. Light as air, vapid and Micke Mouse Club saccharine, “Heaven” makes hell look pretty attractive … or at least makes Hatari’ end of capitalism schtick look like a far more palatable alternative. We have a running order for the semi-finals! Not only do we know who will be in the semi-finals but in what order they will appear, crucial if you’re to have any chance of really guessing who will emerge on top, who will be forgotten by the end of the semi-final and who will be remembered. 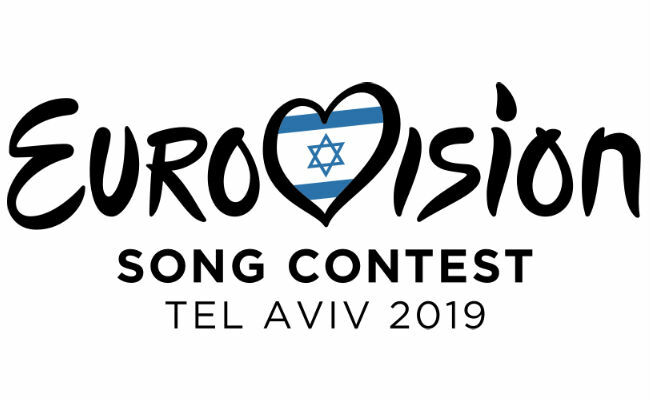 Every Eurovision has it and 2019 is, happily for those in love with glittery drama, no exception, according to Wiwibloggs, who are reporting that an issue over who was funding security at Eurovision has now been resolved and everyone can attend the event feeling snug, safe and secure.